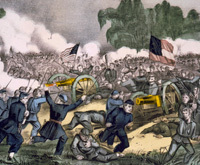 Welcome to the Illinois Civil War Sesquicentennial Website. 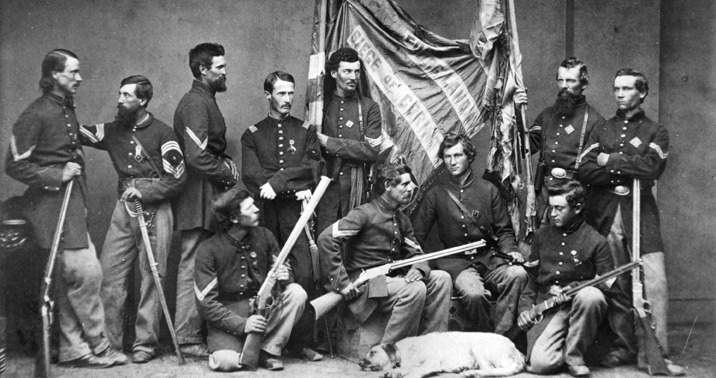 Here you will find a statewide calendar of events related to the Sesquicentennial, a timeline of Illinois and the Civil War, images and artifacts of the era, downloadable PDFs of Civil War-related articles and educational materials, suggestions for further reading on topics throughout the site, and feature articles. This effort represents one-stop shopping for folks interested in Illinoisâ€™ activities to commemorate the Sesquicentennial, as well as those seeking a starting point to learn more about our state and its role in the Civil War. This website represents the work of Save Illinois History and the Illinois Historic Preservation Agency and is supported in part by a grant from the Illinois Humanities Council. To keep the site fresh and evolving, new information and materials will be added throughout the Sesquicentennial as they relate to particular anniversaries and as they are available. To navigate the timeline, simply click on the year of interest and select a month or start from January and scroll through the entire year. Along the way you will find links to images, other sites, and related information. You will also periodically see. This icon will show you suggestions for further reading. You will be able to copy and paste these for further exploration of your interests.